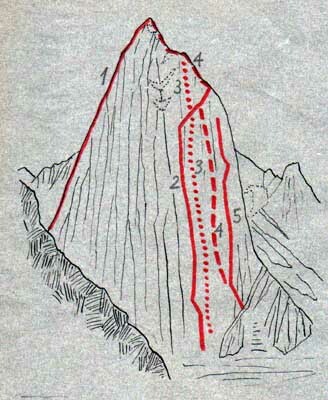 Shipton Spire (5852 m). 1. The Khanadan Buttress. 2. Knocking on the Heaven's Door. 3. Akelarre. 4. Ship of Fools. 5. Próba słowacka.